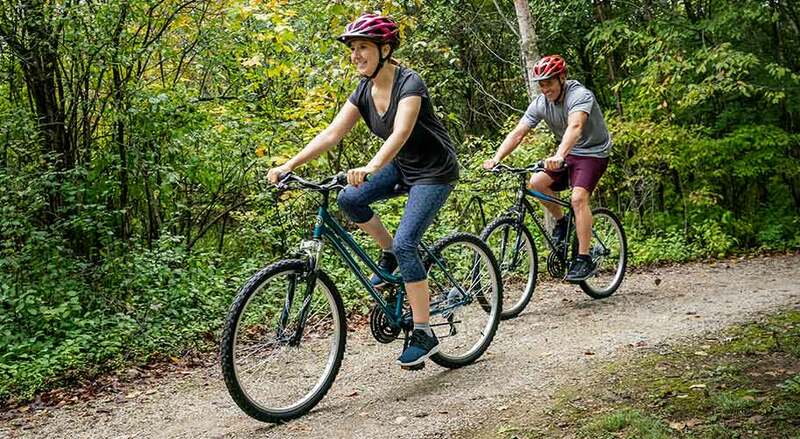 Set the wheels in motion for outdoor family adventure with Rollbacks on Roadmaster Granite Peak bikes. Score men’s, women’s & kids’ mountain bikes for as low as $78 & get everyone geared up for fun. When it comes to easy repairs, basic maintenance & component upgrades, we’re your DIY go-to. Find all the tools, parts & accessories you need to get your bike rockin’ & rollin’ in style. Riding a bicycle is something you might have learned to do as a kid, and it's an activity that you can continue to enjoy well into your adult years. Riding a bicycle is an activity that's fun and healthy, and it offers friends and family a special way to bond while enjoying the outdoors. For all things related to bicycles from the bikes themselves to accessories to clothing to wear while riding we have everything that you need at our Every Day Low Prices. Here's how to find the right bike and accessories for your needs. The category of bike accessories is a wide one. Some of the most important are locks, baskets, bells, pumps, trailers and carrier racks. Locks are necessary to protect your bike when you leave it in public; use a chain and lock with a key to attach your bike to a bike rack. Baskets usually attach to the front of a bike and allow riders to carry necessary items with them as they travel. Bells attach to one of the handles and alert pedestrians and others of the bicyclist's approach. A bicycle pump is necessary to maintain the pressure in your bike's tires; these are usually either hand pumps or electric pumps. Trailers allow riders to take a child or pet along with them as they ride. Carrier racks attach to your vehicle and allow you to take your bicycle with you on a road trip. Other items that qualify as accessories are replacement parts like saddles, handlebars, tires, wheels and gears. Falls from a bicycle can be painful. To prevent potentially serious injuries, it's an excellent idea to wear a helmet and other protective gear. There are helmets for men, women and children, and they come in all kinds of colors and designs. Helmet sizes range from 0 to 12 months of age to children's designs to larger models meant for riders 12 years of age and up. Other protective gear includes knee pads and gloves, and these are also sized by age. Bicycle clothing options include jerseys, shorts, safety vests, underwear, leg warmers and socks. These are also available in men's, women's and children's sizes. Jerseys are breathable, and many wick away moisture. Cycling underwear and shorts often have additional padding to help with long rides. Leg warmers keep riders' legs from being exposed to cooler weather, while socks keep riders' feet cool and dry.